The bedroom tax is big news – you can’t have missed it. You’ve probably already chosen sides. But it’s complicated too. When Cameron muddled the details in Parliament, even Miliband didn’t notice. Read on, if you want to find out what’s really going on. A massive cut in housing benefit – thinly disguised as an attempt to rationalise the use of scarce resources – is about to have a huge impact on 660,000 of the poorest households in the country. It will also have a lasting effect on their social landlords. 25% of their full rent for two or more bedrooms ‘too many’. For some people this means they will no longer receive housing benefit at all. The largest group of genuine under-occupiers – especially in the South – are elderly people, who are not affected by this change. In the North, where social housing landlords tend to provide larger properties than in the South, many households are allocated social rented homes with more bedrooms than they need – because it’s all that’s available. The Government accepts that most people will not be able to move, because there aren’t enough smaller homes to move to. And that’s not just in the social housing sector. Private landlords have always been reluctant to rent their properties to people on benefits, but an increasing number of mortgage lenders are actually prohibiting their buy-to-let landlords from doing so. So, most people will be forced to stay put and pay more. Social landlords know this is a ticking time bomb. An Ipsos Mori survey for the National Housing Federation reported in January that around 84% of housing associations expect their rent arrears to increase – by an average of 51%. Shockingly, more than half reported that their tenants knew little or nothing about what to expect. Spokespeople from the Department of Work and Pensions have suggested that people will just need to work an hour or two more to pay the extra – but this is not true, as means testing would claw back most of any extra earned. People renting privately have a cap on how much they can claim, depending on the size of their household and the area they live in. They aren’t specifically penalised because of the number of bedrooms they have. However, since tighter rules were introduced, many privately renting tenants have had to move to smaller homes in cheaper areas. Some have had to uproot their families, leaving behind schools, family support and local connections. But the bedroom tax targets the number of bedrooms a tenant has, regardless of the actual cost, and it ‘fines’ people who are deemed to have too many. It is up to landlords to define how many bedrooms there are in each property. In practice, social landlords are more likely than a private landlord to call a box room or small second living room a bedroom. One reason is that housing associations have to satisfy their lenders by keeping the value of their assets high and getting the most rent possible. And there are other, more important, differences. Social housing, by definition, tends to house a high proportion of vulnerable people. Households with disabled members, who make up at least two-thirds of the people affected by the bedroom tax (see below) are twice as likely to be social housing tenants as non-disabled people. There are several statutory definitions for the minimum size for a bedroom – and they differ. For the purposes of the bedroom tax, if your social housing tenancy agreement says you have three bedrooms, you pay a three-bedroom rent, whatever the size of the smallest room. The National Housing Federation has explained this more fully here. Some tenants may find they are expected to put two children into a tiny box room, or even an adult child and their partner. Housing lawyers are expecting some challenges on this point as arrears cases start to come to court. a carer for a disabled person who sometimes stays over. However, it took until 12 March 2013 for the Government to agree that foster children could be counted (providing the tenant has fostered, or started fostering, within the past year). They conceded this after lots of adverse publicity and a letter from 11 charities, who warned that this could stop some people from fostering. Unfortunately, within 24 hours, it emerged that only one bedroom would be allowed – regardless of the number of children being fostered. This will hit people wanting to foster siblings. Also on 12 March, the Government finally conceded that someone on a tour of duty with the armed forces could have a room to come back to. Almost immediately, military charities were expressing doubts as to whether this would include someone away on training exercises. You are still not allowed extra bedrooms because you share childcare with your ex-partner or are a disabled person living in an adapted property – even if it was adapted especially for you. You are not automatically allowed a room for a child who needs to sleep away from siblings, even if that child is disabled (more on this below). A phone survey carried out for three housing associations found that 72% of ‘under-occupying’ households included a disabled member, with 20% of under-occupiers living in specially adapted homes. Some 9% reported storing essential medical equipment in a spare room. Many had disabled children who needed a room of their own. Speaking in the ‘under-occupation’ parliamentary debate on 27 February 2013, SNP MP Stewart Hosie reported that 80% of those affected in Scotland are disabled. The housing association phone survey also identified that 15% of couples did not share a bedroom, 13% regularly shared parenting and 4% slept separately as they worked shifts. Half of the families used their ‘spare room’ to give a child their own bedroom. The Government has been facing a series of human rights challenges on its rules about who should be allowed to have a bedroom and who should be forced to share. In early March 2013, new legal challenges were launched against the bedroom tax on behalf of a disabled couple and five families with disabled children. The challenges were due to argue that the under-occupation rules break Article 14 of the Human Rights Act and Article 28 of the UN Convention, by ignoring their needs as disabled people. Despite the u-turn on the earlier case (which makes some of the new cases relating to children academic), the adults and some of the children are likely to go ahead with their challenges. The first judicial review case is to be heard in May 2013. On 21 March, Liberty, the civil rights charity, announced that it was launching a judicial review on the issue of parents sharing custody of children. It will argue that the rights of three parents, who will lose benefit because they are not their children’s primary carers (defined for the bedroom tax as being the person who claims child benefit) are being denied. The appeal will use Article 8 of the European Convention on Human Rights (the right to a private and family life) and Article 14 (which outlaws discrimination) to challenge the legality of these rules. 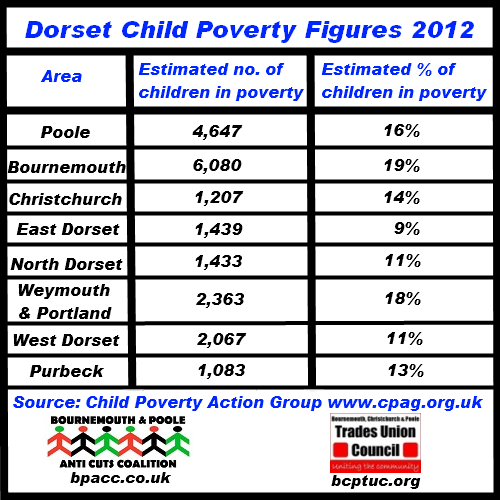 Local authorities have been given additional funding to help out families caught in the worst circumstances. Adverse press and lobbying led the Government to concede another £25m to this pot for disabled wheelchair users in significantly adapted properties. But this cannot help every disabled person affected, because fewer than one in 10 disabled people uses a wheelchair. Since the u-turn on 12 March, the funding will also have to cover disabled children who cannot share a bedroom. An additional £5m set aside for foster carers has been taken back since the decision to allow them to have one extra bedroom. These discretionary payments are designed to avoid the Government having to change the bedroom rules. They offer a concession as a nod to the legal challenges. The Government is hoping that most disabled people and foster carers will simply come up with the extra money. Many in the housing sector doubt this. See also the National Housing Federation Report of 28 March 2013 (p3). Tenants who manage to move to privately rented homes will actually cost more in benefits, because rents are higher in the private sector. Also, tenants with children who are evicted for rent arrears by their social housing landlord may end up registered with their council as homeless – with all the associated costs of providing them with temporary housing. Social landlords are preparing to spend large sums on extra rent collection staff and welfare and debt advice – very probably at the expense of their community work. Housing lawyers are expecting a stream of possession cases against people who have, up until the bedroom tax, been good payers. Unlike poor payers in the past, who could offer to pay their arrears off gradually, these will be people who really cannot pay their rent, let alone a bit extra. This is a new twist and likely to lead to more defences that challenge the application of the rules. One housing association has decided to reclassify the size of 500 of its homes, which will let some of their tenants off the bedroom tax hook, but at a cost to the organisation of £250k in lower rents. A housing consultancy recently blogged advising landlords to reconsider collecting the bedroom tax – they say landlords should do the maths, because they might even lose less this way. To take this step, housing associations would first have to check whether their lenders or covenants allow them this flexibility. However, as the article points out, there are wider economic implications. 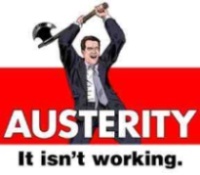 Durham County Council has estimated the impact of welfare reform as a whole on its local economy in 2013 as £150m. Lowering rents, especially in the North, could put more money in tenants’ pockets – with a knock-on effect for the whole area. Of course, the bottom line is that, if the housing benefit bill drops because landlords are charging lower rents, the Government will, in effect, have achieved a saving by passing on the cost of housing support to social housing landlords. In its report issued on 28 March (see p2), the National Housing Federation points out that in the North under-occupiers in the social and private rented sectors outnumber overcrowded households by 3:1. It arrives at this figure using the Government’s own data. By contrast, in the South, there are many families living in overcrowded conditions. In theory, the bedroom tax is supposed to encourage under-occupying tenants to move elsewhere, freeing up larger homes. However, in practice, the shortage of smaller homes means this cannot happen on any real scale – unless literally thousands of people are moved between the North and South. The massively reduced amount of state funding for building social housing (it dropped by 63% in 2010) and the harsh climate for social housing landlords seeking loans – makes building out of the crisis a non-starter. 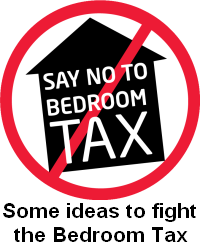 Affinity Sutton has pointed to an unintended possible consequence of the bedroom tax. Older people who really need to move somewhere smaller, and who may genuinely have a larger home to free up, are going to find it harder, because they will have to compete with demand from people needing to downsize because of the bedroom tax. In fact, 28% of housing benefit claimants are over pension age. Amongst those of working age, 24% are actually in work (a figure that has grown by 10% since the start of the crisis in 2008). The size of the housing benefit bill is not just about unemployment. It is also about low wages and pensions, and the high cost of housing – especially now that as much as a third of former council housing may be owned by private landlords. See page 10 of the Government’s own Impact Assessment. However, blogger Joe Halewood points out that the new rules may hit many couples where only one is a pensioner. Affinity Sutton have calculated that someone working 16 hours at the minimum wage will need to work 32 more hours to pay a £14 a week increase. See here. Burnip v Birmingham CC, Trengove v Walsall MBC, and Gorry v Wiltshire C  See analysis. The National Housing Federation has calculated a shortfall of £100m for disabled people. See here.